Said Bahaji's name was on a passport found in South Waziristan, Pakistan. 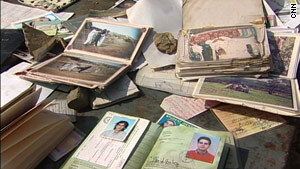 Sherwangei, Pakistan (CNN) -- A passport bearing the name of Said Bahaji, a suspect linked to the September 11, 2001, attacks on New York and Washington, has been found in a town captured by the Pakistani military. The passport was found in South Waziristan, where the Pakistani military has been battling to wrest territory from the Taliban in Pakistan. It contained a Pakistani visa issued in August 2001 showing that the bearer entered Pakistan on September 4, 2001, and appeared unusually new for a document eight years old. CNN has not independently confirmed its authenticity. Bahaji is suspected of having fled Germany for Pakistan on September 3, 2001, after receiving a tip that the attacks were imminent. The photo in the passport resembles images of Bahaji posted on Interpol's Web site. It shows a clean-cut man wearing a red sweater. Bahaji, 34, is alleged to have been a member of the Hamburg, Germany-based cell that provided money to the hijackers who carried out the September 11 attacks, which killed about 3,000 people. He is wanted in Germany and Spain on terrorism charges, according to Interpol. A U.S. counterterrorism official said only that Bahaji is a senior propagandist for al Qaeda who had ties to some of the September 11 hijackers and is very much of interest to the United States. He lived with one of the leaders of the hijackers, Mohammed Atta, in Germany before the attacks, according to the September 11 report. He is a German citizen of Moroccan descent. CNN's Reza Sayah saw the passport and another one from Spain along with other documents during a trip to South Waziristan for journalists run by the Pakistani military. It was the first time the army had taken journalists to the region since the offensive against the Taliban began on October 17th, he said. The army showed journalists a pile of documents that they said they had seized. Among the papers was the German passport in Bahaji's name, which included his signature and a photo of him in a red shirt. Pakistani military spokesman Gen. Athar Abbas was not aware of the passport until reporters asked him about it. 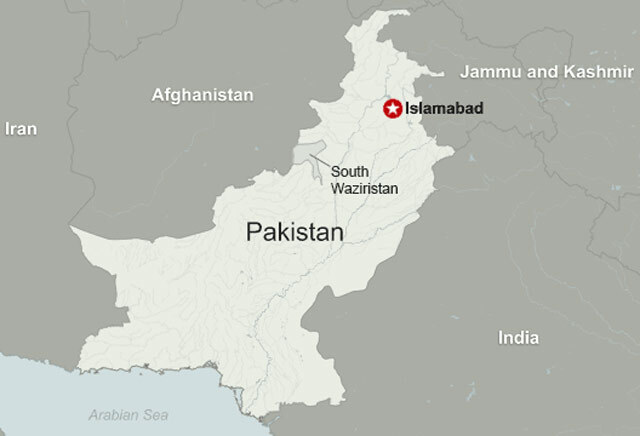 CNN's Samson Desta in Islamabad, Pakistan, contributed to this report.